A great opportunity to acquire this short lease studio flat on the 6th floor with lift in a great location close to Paddington and the shopping of Bayswater / Westbourne Grove. Rented until October 2012 for £275 per week and offers a great yield of 10.3%. NOT MORTGAGEABLE DUE TO LEASE. - Close to Paddington & Bayswater. A great investment opportunity to buy a collection of 6 studio flats, all in good condition and currently rented out on ASTs for about £70,000 per year. - Separate kitchen with washing machines. A fantastic opportunity to acquire this un-modernised unusually large 4 bedroom flat close to Regent's Park and Baker Street. The property is south facing on the 2nd floor, has a balcony and offers the potential for either renovating into an amazing 4 bedroom flat or can be split into a 3 bedroom flat and a 1 bedroom flat. - Parking maybe available by separate negotiation with the car park. A great investment opportunity to buy a collection of 12 flats in this high specification new build development overlooking the Grand Union Canal. Located within the Portobello Dock regeneration area. A great investment opportunity to buy a collection of 10 1, 2 & 3 bedroom flats on this riverside development overlooking the River Thames. 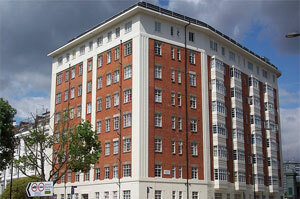 The flats have been refurbished to a high standard and have an ERV of £513k per year. - Renovated to a high standard. - Some have balconies with river views. - Currently all flats are rented out. 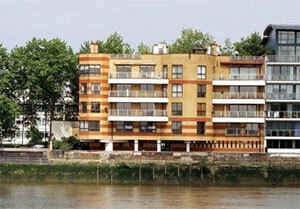 - Close to Pimlico tube and a short walk to Victoria station.